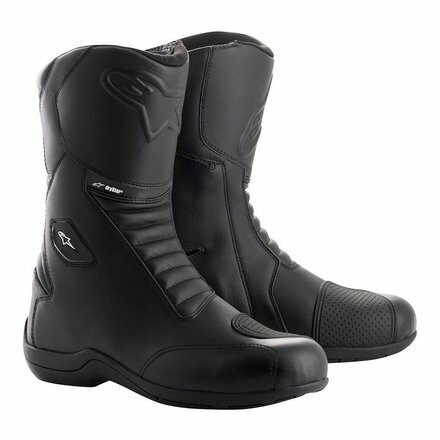 Touring boot, suitable for all weather conditions. 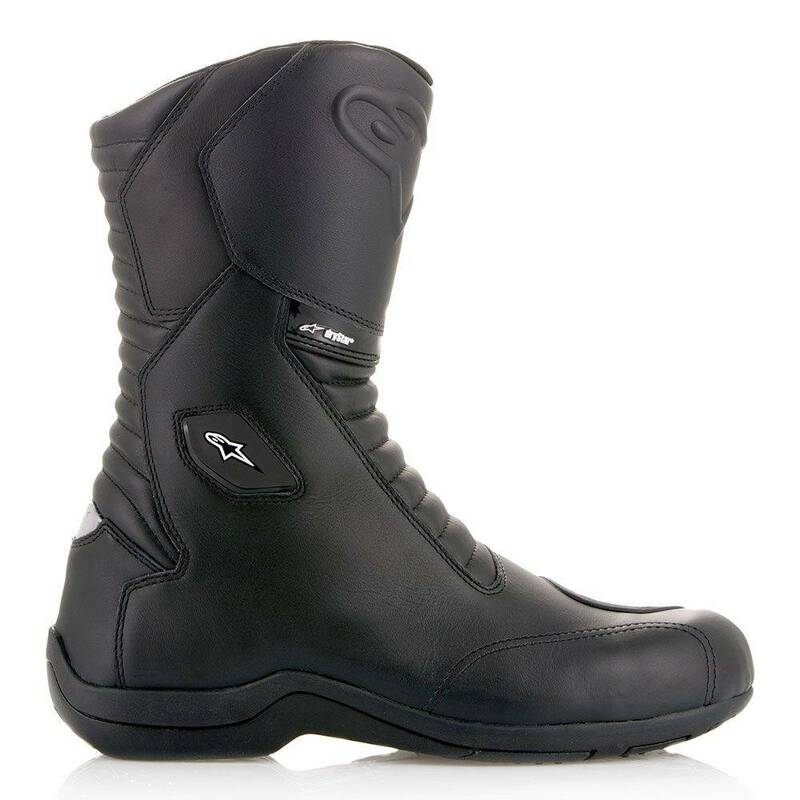 • Fully equipped DRYSTAR® touring boot for long distance driving on the road in different climatic conditions. • Main upper material made of reinforced leather for improved comfort, durability and wear resistance. 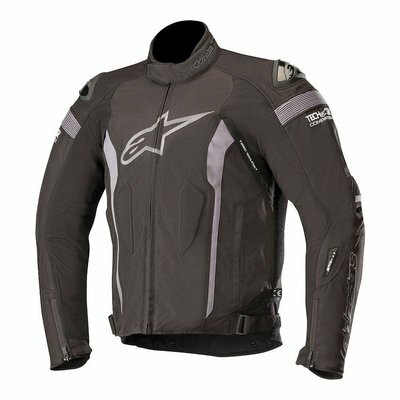 • The entire internal membrane of DRYSTAR® ensures 100% waterproof performance and high breathability. • Extended accordion front and back made of microfiber for durability, comfort and an excellent range of forward and backward flex movements. • Opening / closing system for medial opening on the side with elastic zipper and hook and loop fastening with wide flap for easy and precise, secure fit. Contains large opening in the opening to facilitate easier entry and easier disassembly of the shoe. 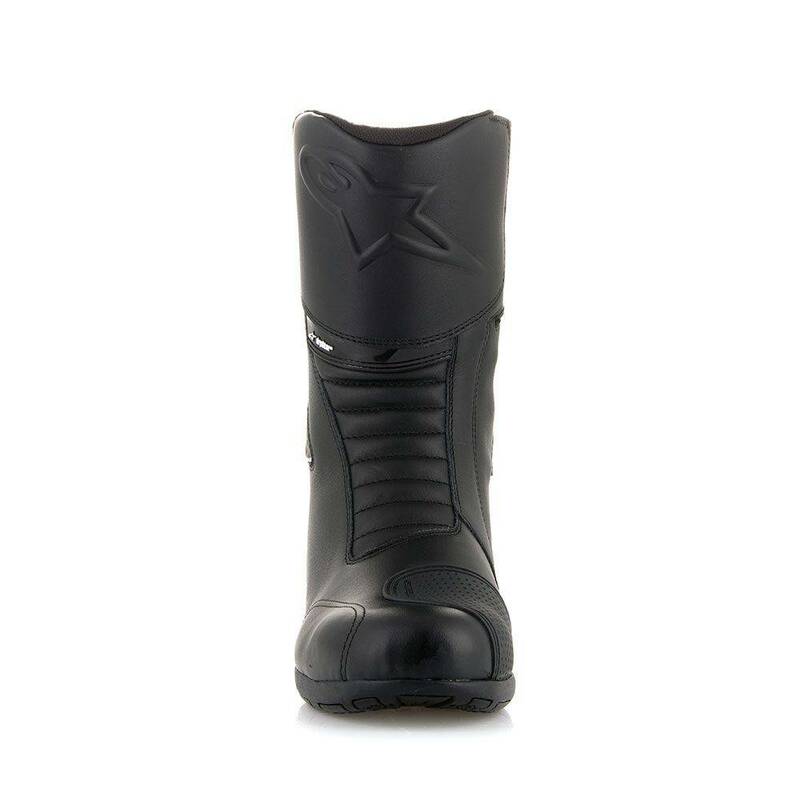 • Strategically positr and the toe box against wear and contains technical textures for grip. 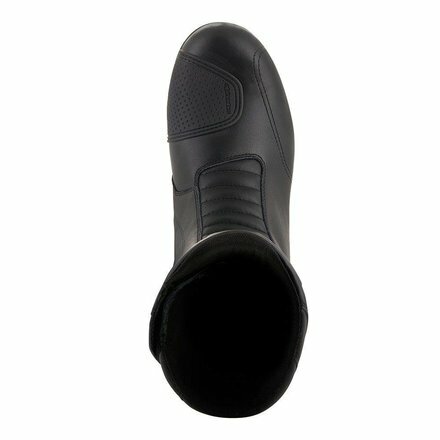 Toe toe and heel against internal reinforcement provides structured support, improved feel and impact resistance. • Double-walled TPU ankle protection discs are layered on both sides under the upper and are supported by poly foam padding for protection. 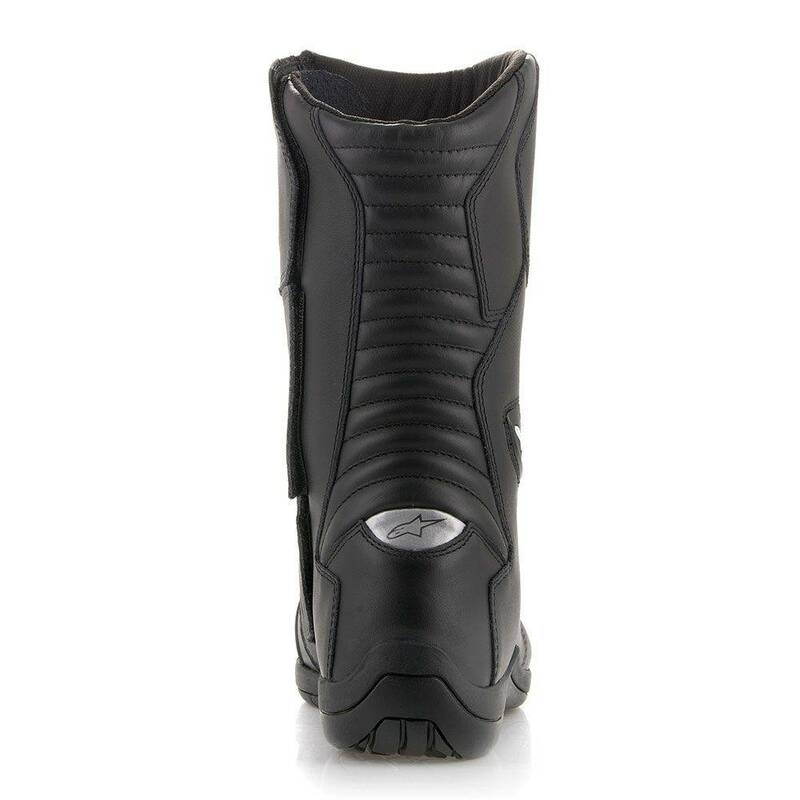 • Internal shock-resistant TPU shin guard mounted under the leather for superior shock resistance. 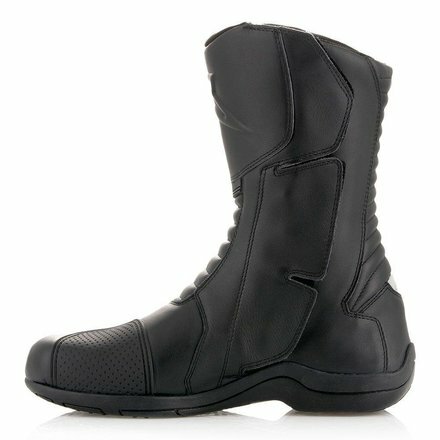 • Andean v2 DRYSTAR® shoe is CE certified according to CE CERTIFIED EN 13634: 2010. • Advanced TPU shift pad protects the uppeole injected into polypropylene including shaft reinforcement for structural support and stability. 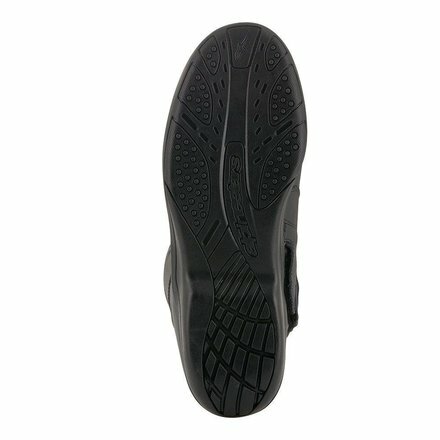 • The removable, anatomically advanced EVA footbed provides support for the arch and high comfort. • Reflective insert at the rear for better visibility of the rider. • Alpinestars exclusive, vulcanised rubber compound sole promotes improved feel and grip, water dispersion and durability. • Preformed advanced TPR shin plate and TPR ankle protector for critical protection without impeding flexibility.